Each state has different laws in regards to a lot of things, but what you may not think about is the difference in motorcycle laws. California has a different set of laws pertaining to motorcycles than others states. If you’re thinking about getting your motorcycle license (M1), you may want to look at all the laws and requirements first. It’s not as simple as buying a bike. In order to be street legal motorcycles must have turn signals and a mirror. The age requirement to obtain a M1 is 16. If you are under 21 years old, you must take a safety course in order to get your M1. If you are over 21 years old you must take a skills test in order to obtain your M1. “Lane Splitting” is authorized per California Highway Patrol. Helmets are required of all motorcycle riders and must be Department of Transportation (DOT) approved. When carrying a passenger, footrests for the passenger are required. There is no age limit for a passenger. Periodic safety inspections are required by law, but are at random. Daytime use of headlights is required for all motorcycles from 1978 and later. There are several more technical laws in regards to handlebar height, insurance speakers, and ear plugs. There are two laws that vary the most between the states. Those two are the helmet laws and lane splitting. The helmet requirement, even though it seems obvious for safety reasons, is not a law in other states. 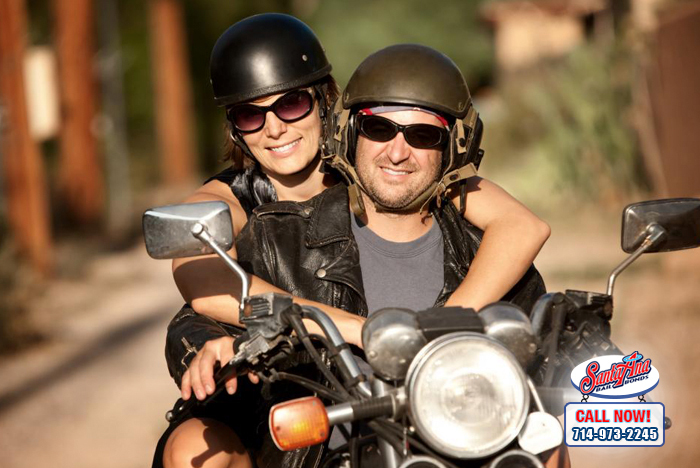 States like Texas don’t require riders to wear a helmet when operating a motorcycle. As long as they have completed a rider safety course, or have the proper insurance coverage. However, if you are under 21 in the state of Texas you must wear a helmet. The lane splitting law is also different between states. Again, most states, like Texas do not authorize lane splitting. Lane splitting is when a motorcycle shares the lane with another vehicle, or rides the line between lanes. Lane splitting is common in heavy traffic situation. Motorcyclist will use lane splitting to pass vehicles. If you’re ever in doubt of motorcycle laws in your area, the DMV suggests looking at their Motorcycle Safety pamphlet. Another great source of information for motorcyclist is the American Motorcyclist Association (AMA) website. On AMA they also have more information about off-road motorcycle laws, as well as all of the road laws. Motorcycles can be fun, and freeing to ride. However, if you don’t follow the laws you might not be a free-bird for very long. Anaheim Bail Bonds, Irvine Bail Bonds, Laguna Beach Bail Bonds, OC Bail Bonds, Orange County Bail Bond Service, Orange County Bail Bonds, Santa Ana Bail Bonds Articles bail bonds near me, bail bonds with flexible payment plan in santa ana, local bail agent in santa ana, local bail bond company in santa ana, motorcycle owner news 2018, new motorcycle laws 2018, no collateral bail bonds in santa ana, no down payment bail bonds in santa ana, what laws changed in 2018 for motorcycles, what to know for 2018 regarding motorcycles, zero down bail bonds in santa ana. permalink.